Driving the news: The U.S.-China trade war is now up to $360 billion in goods between the two countries. 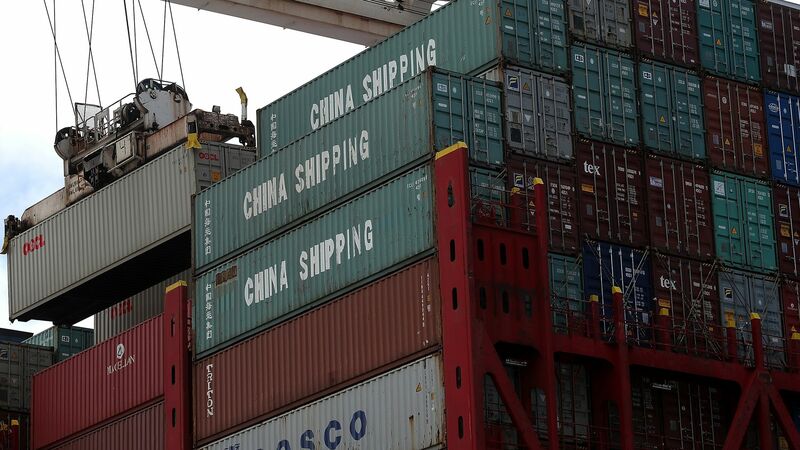 Beijing today retaliated against Trump with tariffs on an additional $60 billion in U.S. trade, bringing the total to $110 billion. Yesterday, Trump said he would impose tariffs on another $200 billion in Chinese imports, bringing the total from the U.S. side to $250 billion. Axios' Erica Pandey reports: I learned at a conference in New York yesterday, Jeff Bezos' tech giant has quickly become the existential crisis in front of almost every e-commerce and brick-and-mortar firm, whose CEOs are faced with a singular question: How do I beat — or even survive — Amazon? 1. Be friendly. Lütke says that Shopify champions its business clients while Amazon thinks "merchants don't matter." 2. Know your (foreign) market. Amazon and Flipkart, its homegrown rival in India, are locked in a fight for the world's fastest-growing e-commerce market. But Bansal thinks he can win, relying on intimate knowledge of the country. 3. Play to your (physical) strengths. Macy's physical presence gives it deceptive power, Gennette says. To put this in context, about 90% of U.S. retail sales still take place in physical stores, not online. The big picture: The number of students earning degrees in subjects such as art, history and language has dropped each year since 2012 — around the time undergraduates who enrolled during or right after the financial crash were graduating. As is clear in the chart above, their share of the total has shrunk as well, Axios' Stef Kight reports. For those who lurk in the back of their yoga class, insecure about their skills, your latest nightmare is a pair of pants that know when you're making a mistake. How it works: Three sensors made by Wearable X — one at your ankle, another behind your knee and a third at your hip — can tell whether you're correctly doing downward dog, or any other yoga pose. If you've got it, the sensors vibrate to congratulate you. If you're not quite there, the app tells you how to adjust, reports Erica. Billie Whitehouse, Wearable X's CEO, said yesterday at the Code Commerce conference in New York that she's betting on the market for athleisure — athletic clothing that you can wear all the time. Yoga pants outsold jeans last year in the U.S., U.K. and Australia, she said. Wearable X's latest innovation: A link from your pants to your iPhone health app. The technology can tell if you went for a run (or if you didn't) and recommend post-workout yoga poses to keep you nimble.